When one hears the name Transylvania, Dracula usually comes to mind. But you can find fantastic fortified churches, medieval towns, the Carpathian Mountains and orthodox monasteries in this Romanian province. We already had the Bucovina region on our bucket-list of places to visit, so it seemed a great opportunity for us to take a closer look at this part of Romania. My partner Uschi and I had toured Portugal, the furthest western state in the European Union in 2017; now, in 2018, we would take on the furthest eastern state. As always, when we're on the road for months, we brought our own ‘fortifications’ with us. 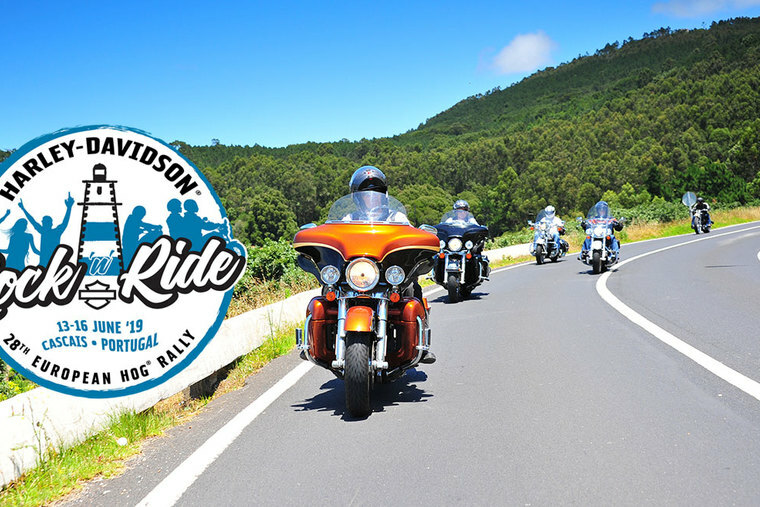 These consist of our motor home, trailer, large front tent (including canopy) and, of course, our Harley-Davidson FLHTP, which was built in 1995 and now has 123,000 miles (200,000 km) on the odometer. We chose three main locations: Cârța, Mediaș and Fundu Moldovei. Then we went on daily sight-seeing tours from each of these places. 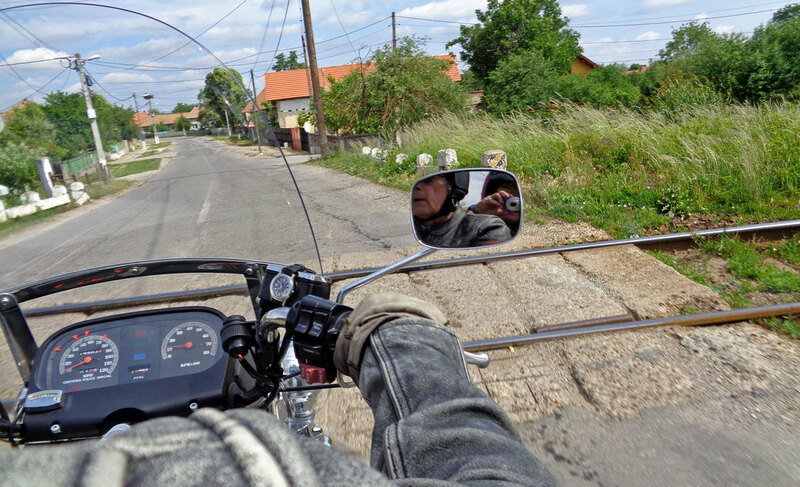 The roads in Romania vary considerably in quality – there are good roads and very, very bad roads. The secondary roads stand out in particular. It’s not uncommon that a decent road will cross two roundabouts and then suddenly turn into a gravel path, because the municipal powers that be were unable to reach an agreement over the costs. This happened to us several times, and when it happens after a storm, these roads are hardly passable. It is advisable to inquire about the road conditions when you arrive. In addition to this, the railway crossings are a completely unique experience. 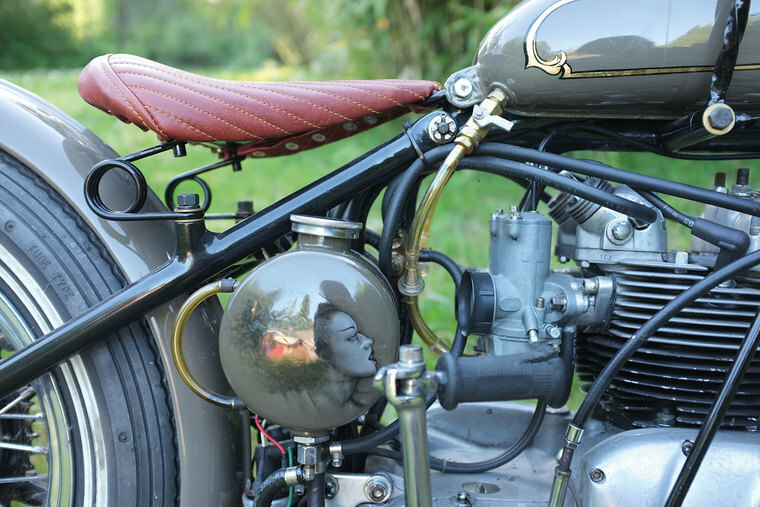 Make sure you reduce your speed to nothing more than a crawl. The crossings are full of holes and the tracks are generally at a higher elevation than the road, so be careful! Our first trips took us to the South Carpathian Mountains, often called the Transylvanian Alps (Carpati Meridionali). The mountain range separates Transylvania (north) from Wallachia (south). Its highest point is the Moldoveanu Peak, at 2,544m. Initially, we wanted to tackle the ‘Drumul Transfăgărăşan’, also known simply as the Transfăgărăşan. This famous pass has an elevation of 2,042m and connects the Argeș Valley in Great Wallachia with the Olt Valley in Transylvania. 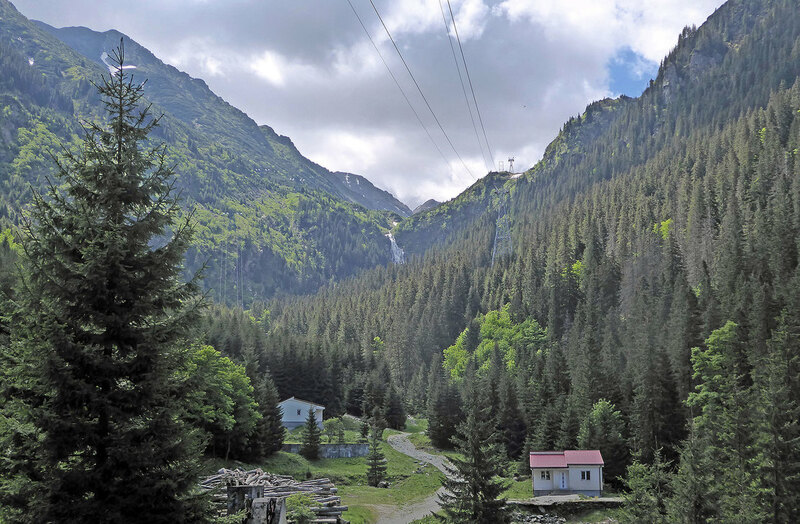 On the way, it crosses the Făgăraş Mountains, a mountain range in the Transylvanian Alps. Unfortunately, the pass is closed over the Bâlea Pass from November to June, so we could only drive up to the cable car leading to the Bâlea waterfall. 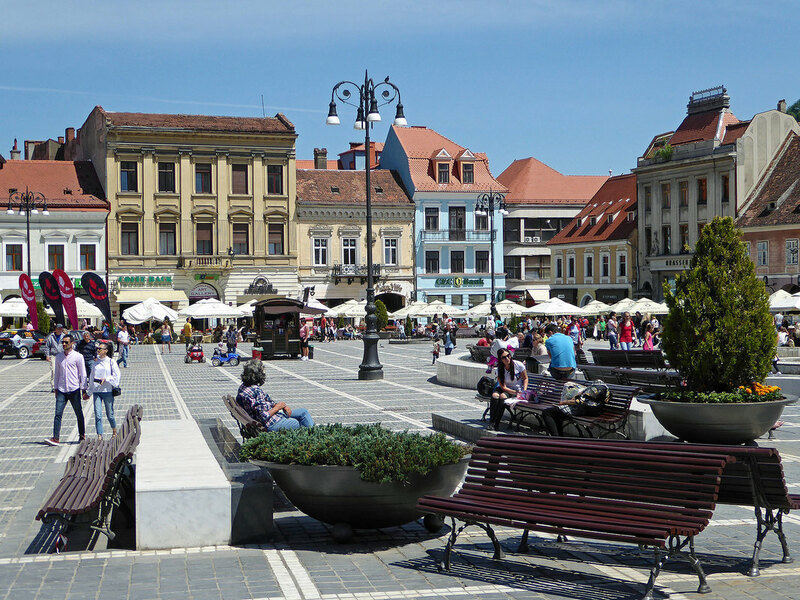 Of course, the cities of Braşov and Sibiu were also on the agenda. The Germanic influence of the Transylvanian Saxons is clearly visible everywhere. Many of the town signs today are bilingual, written in both Romanian and German. We had intended to visit Bran Castle, which is commonly thought of as Dracula’s Castle, but when we saw the crowds in front of it, we thought better of it. The Transalpina, also known as Drumul Naţional 67C, or DN67C for short, was unfortunately also partially blocked, but we still approached it from both sides, because the road is a destination in itself. The Transalpina is a very important road in Romania for tourism. It crosses the Transylvanian Alps and reaches an altitude of 2,132 m.
After three weeks, we changed our location and moved to Blăjel near Mediaș. 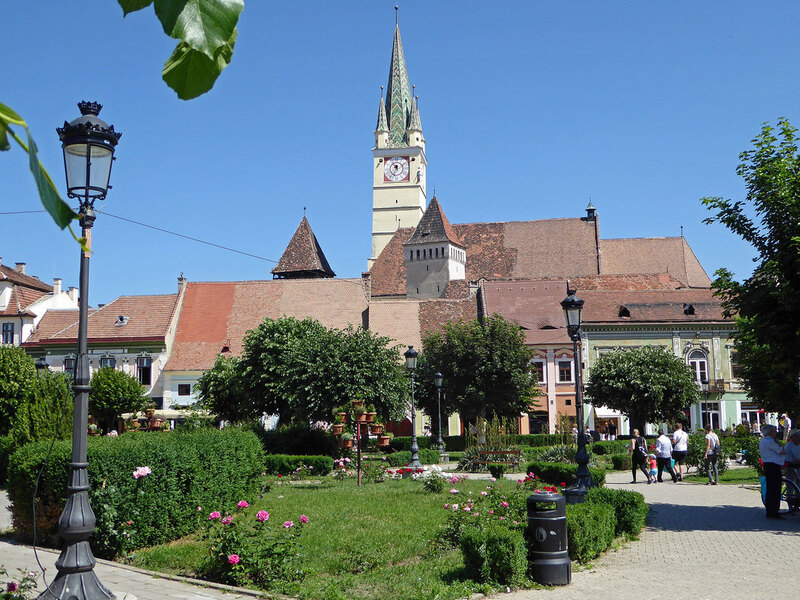 In this area there is a fortified church in almost every town, and among them many UNESCO World Heritage sites such as Valea Viilor and Biertan. The city of Sighişoara, also located in this area, is one of the most beautiful places to be admired in Romania, and is allegedly the birthplace of Vlad III, or Vlad Dracula. Târgu Mureș, with its magnificent Palace of Culture built in the Hungarian Art Nouveau style, was also well worth a visit. After another three weeks, we moved on to the East Carpathian Mountains in Bucovina, where we found a wonderful campsite in Fundu Moldovei. Here we were interested in the beautiful Orthodox Moldavia monasteries of Moldovița, Sucevița, Voroneț and Humor, with its charmingly painted exterior walls. The main roads in this area are in very good condition thanks to the EU, and there was hardly any traffic. We drove many kilometres there. 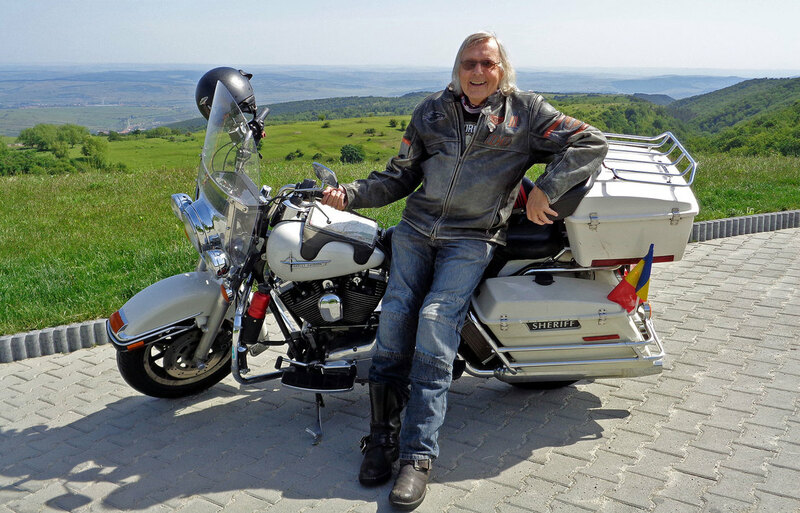 The E58, in particular, from Bisțria to Câmpulung Moldovenesc via the passes Pasul Tihuța (1,208m) and Pasul Mestecăniș (1,096m), is a pleasure for any motorcyclist. Hotel Dracula is a great place to stay at Pasul Tihuța, and you can face your fears in a real tomb, which of course we did not want to miss. Summary: Even those who are not as interested in culture as we are will find many fantastic roads in Romania as a motorcyclist. 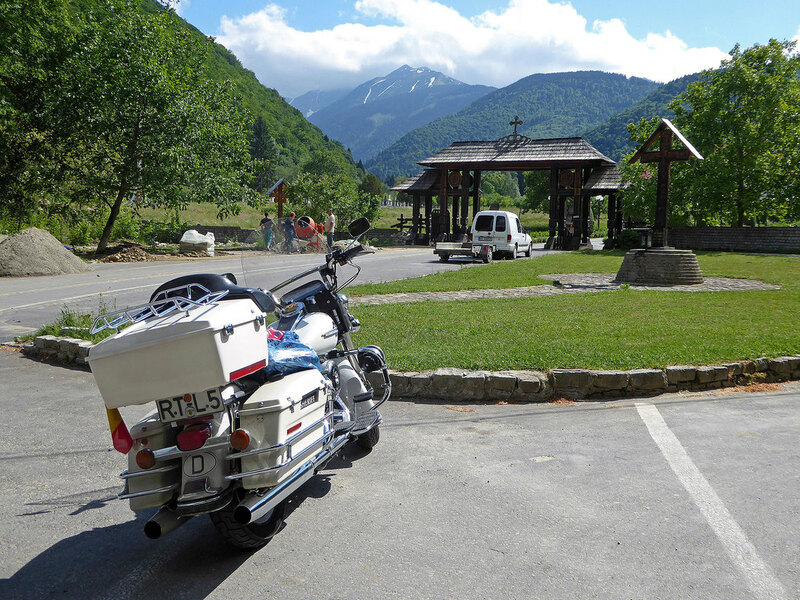 The cost of accommodation and meals is very low, and the people are friendly and helpful: locals both young and old kept admiring our Harleys. 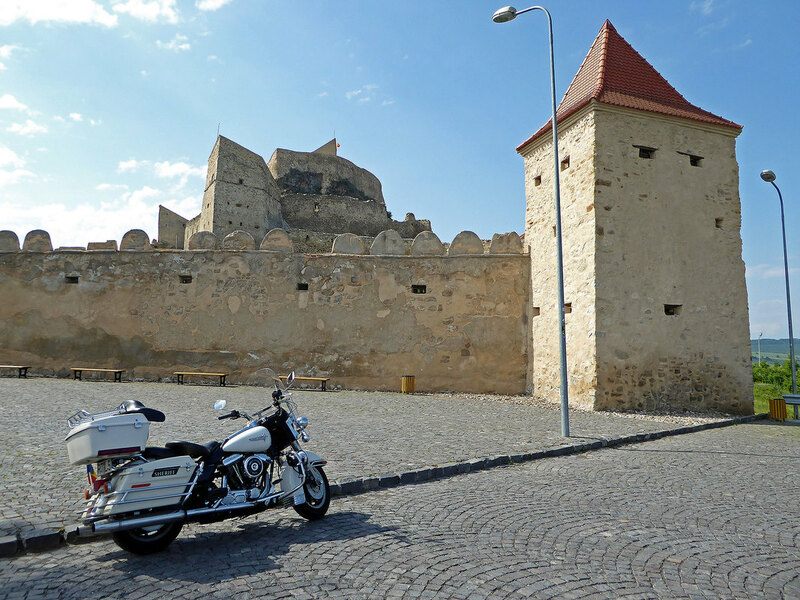 We can only recommend Romania as a motorcycling country and we fully intend to go there again.